In my journey to write better software I have been looking at various patterns available. One of them is known as the Model View Presenter or MVP pattern. In doing some reading many of the sites I have come across point to Martin Fowlers website who is well known for his contribution in design patterns. He has put the MVP pattern into two separate types Passive View and Supervising Controller. In this blog entry I am going to focus on the Passive View as it provides complete separation from your model and allows you to completely mock out your view for testing. One additional note is that I found many people swap out the term Presenter for Controller which is a bit confusing since another pattern exists called (MVC) Model View Controller. So I will be sticking to the term Presenter. Disclaimer: I am just starting to understand this pattern so I may not explain it or design it in a way that maintains 100% true to the pattern. I am looking forward to feedback or comments that would correct anything I have misunderstood or may provide a clearer understanding of the pattern. Views - Views are the entry point into the process. In the case of a asp.net application this would be the .aspx page. In the case of a winform application it would be the form itself. 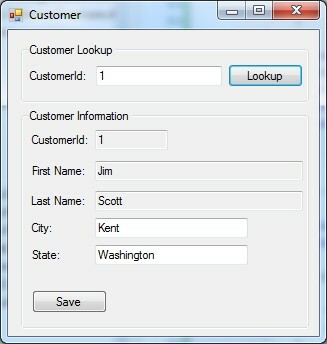 Each view will have a interface that represents the data that needs to be inserted, retrieved, or databound to the view. Presenter - Each view will have a presenter assigned to it that is responsible for handling all interaction with the view. The goal of the presenter is to move the logic out of the view itself and put the responsibility into the presenter. Model - The model is a representation of the data that should be displayed on the view. In some cases the model is represented by some object that is returned from a datasource such as a database. In many cases additional layers exist between the datasource and model and business specific entities may have been created to represent the model while abstracting away the source of the information. So how does this relate to a standard project we would create. In order to demonstrate the benefit of the pattern I am going to create a small winform application using the way I would have normally coded it and then refactor the project to use the MVP pattern. Project Summary: Create a windows application with one form that if given a customerId will lookup customer in our datasource and display the first and last name, City and State. Once a customer has been retrieved the user should be able to edit the City or State and save the changes. Validation should also be performed to ensure that customerId is an integer value, City and State is required and cannot be empty. 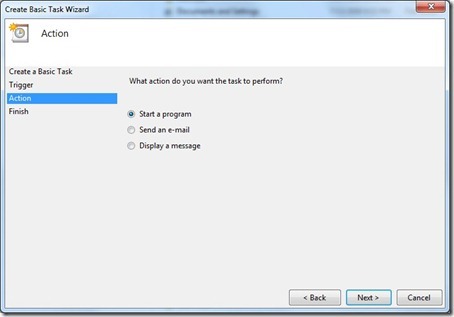 Project Details: Winform application using .net 3.5 framework. Data will be stored and retrieved from SQL Express database using Linq to SQL and will return to the Presenter the actual Ling to SQL entities that this framework creates. Project Layout: I created a folder called Views which will contain a sub folder for each view I am creating. I personally do this because each view has an associated Interface and Presenter class created and this provides a simple way to keep them together. I will also create a Models folder which will hold my Linq to SQL code and anything I do to extend the Models. CustomerView.cs - Here is the initial code with all interaction between the model and the view being directly inside the form. The problem with this particular way of developing is that the only way to test the application is to bring up an instance of the application and manually test or use some kind of test automation software that records and plays back things. Refactoring to use MVP: Now I will refactor the above code to use the MVP Passive View pattern. This will create an Interface that represents the view and place a presenter in between the Model and the View to do all the interaction between layers. ICustomerView – I created an interface ICustomerView that will represent the data on the form as shown below. This view will get injected into the Presenter constructor so that it has access to writing and retrieving values from the View. 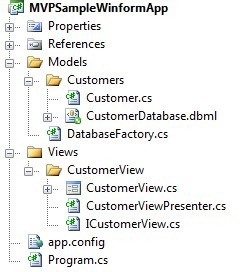 Refactored Project View – This shows the additional files created ICustomerView and CustomerViewPresenter. CustomerView Refactored - Now that I have the interface and presenter created let’s move our code from our CustomerView form into our presenter. 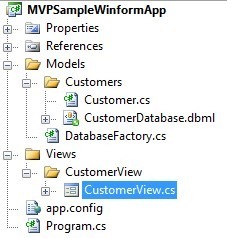 Notice that the form now has a private instance declared CustomerViewPresenter and in the constructor of the view we instantiate a new instance of the presenter and pass in ICustomerView represented by this. Also note that the search and save button click events no longer contain any code to load or save the customer but rather calls the presenter methods to take care of the logic. CustomerViewPresenter - Below shows what is inside the presenter now. Since the presenter gets passed into it an interface representing the view it can now interact directly with the view. It is now up to the presenter to talk to the Model and get a customer and set the views information or retrieve information from the view and save it. So you might be asking about now “Why do I want to move all my logic to another class? Seems like all I did was make things more complicated and created more code!”. The real value of doing it this way comes in the ability to now write unit tests against our code. Since the CustomerView now has an interface ICustomerView that represents the view, we can now substitute the real form for a mocked version of it and perform all the validation we would normally have done manually. The other benefit you get is that you have separated the logic from your view so you could use this same code to create an asp.net web application by just creating your aspx pages and reusing all of your interface and presenter code. Testing – Below is the project view of my test project. It is when you get to this part you find the real advantages of your work above. Below is the view of the test project. Note the two files CustomerViewMock.cs which is a mock of our real view and CustomerViewTests.cs which contains all our test we want to perform. CustomerViewMock – This class in my test project represents my view. Note that the class inherits from my ICustomerView interface. You will also notice that I created public properties representing each of the components that would have been on my real form. I do this to keep my tests feeling like I am interacting with the real form. CustomerViewTest - And here is my test class with the various tests that I would have normally had to do manually. Now I can go in and make changes to the logic of my presenter and quickly run my existing tests and be sure I am not going to break any existing logic. That is all I have for now. Please provide feedback if you see anything wrong or have any suggestions that would further improve my approach. I am thinking about adding on to this post an example of taking the Interface and Presenter and moving them into its own project. Then creating this same interface in asp.net just to show the ability to reuse the code. For now I hope this helps someone with understanding the MVP – Passive View pattern. Boris is a Program Manager with the Visual Studio for BizApps team. Besides taking care of the Visual Studio community he is focusing on LOB integration with SharePoint and is working on the next generation of SharePoint tooling. Prior joining Visual Studio he was working as a Technical Product Manager for Office Server building white papers for architectural guidance and LOB integration. Boris started his Microsoft career working as an Application Development Consultant for portals back in 1999. He then was called into the World Wide IW Centre of Excellence working on large cross border SharePoint and Project Server implementations doing architectural design, reviews and LoB integration. 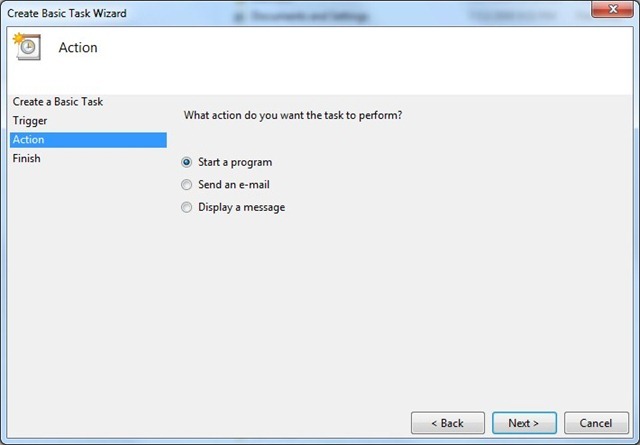 The talk focuses on the SharePoint tools available in Visual Studio 2010. 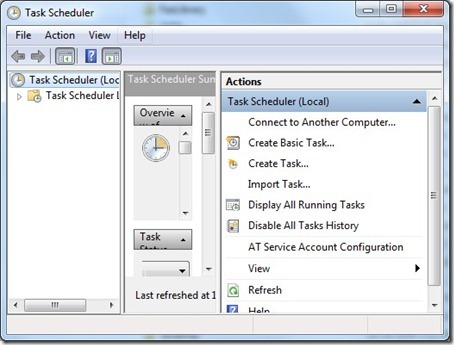 We will take you on a tour of the new SharePoint tools available in Visual Studio 2010. In addition we will have a closer look at how to develop SharePoint applications that integrate external data using the new Business Data Connectivity designer and how to take advantage of the Visual Studio Extensibility feature. So far I feel like I have gone backwards from the rich UI development environment of ASP.NET Webforms. However as I write more an more code and look over more examples I am finding the main benefit is total control over what is output to the browser and very testable. Testing has been something I have avoided so far when it comes to webforms because of the complex approach of having to simulate the browser. Today I was about to write up some blog posts about my experience so far and some of things I found helped me get started. However I also found a great resource today that explains exactly what I was going to write about and then some. Whoever wrote these articles thinks exactly like I do and did a fantastic job of explaining how to use MVC. I plan on writting several applications using MVC to get myself more familiar and will then be posting some articles showing the same application written in winforms and mvc so that I can compare the advantages of each. Here is the list of Applications I plan to build. Note each of them pretty simple apps. Automatically Backup all your PC’s and MAC’s. If backing up your machine is important to you but you have just not taken the step to implement a backup process, then I would highly recommend the HP MediaSmart Server . While it has many features the most important and coolest one in my opinion is the backup feature. So what is so cool about it? No matter how many computers you are backing up the HP MediaSmart Server will only keep a single copy of a given file. That means if you have 3 machines in your network all running Windows 7 the space required to backup the OS will only be the size of one of them. 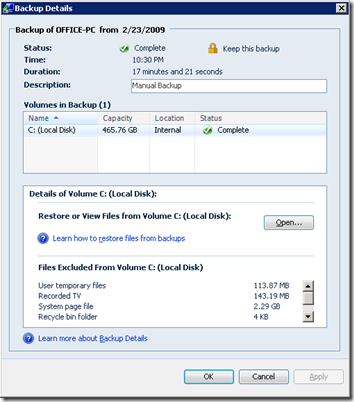 Below is the description from a Microsoft Document explaining how backup works. The home computer backup solution in Windows Home Server has a single-instance store at the cluster level. Clusters are typically collections of data stored on the hard drive, 4 kilobytes (KB) in size. Every backup is a full backup, but the home server only stores each unique cluster once. This creates the restore-time convenience of full backups (you do not have to repeat history) with the backup time performance of incremental backups. 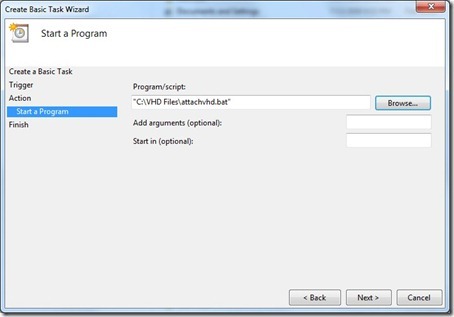 When a home computer is backed up to the home server, Windows Home Server software figures out what clusters have changed since the last backup. The home computer software then calculates a hash for each of these clusters and sends the hashes to the home server. A hash is a number that uniquely identifies a cluster based on its contents. The home server looks into its database of clusters to see if they are already stored on the home server. If they are not stored on the home server already, then the home server asks the home computer to send them. 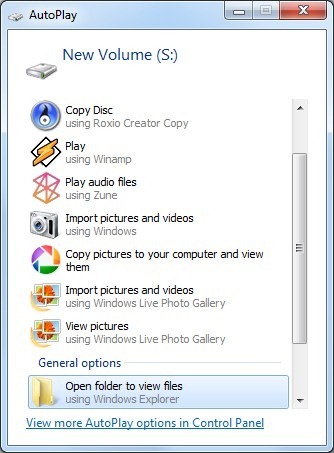 All file system information is preserved such that a hard disk volume (from any home computer) at any backup point (time) can be reconstituted from the database. So imagine this scenario: You bring home your new HP MediaSmart Server and set it up by plugging in power and an ethernet cable. You install the client application on one of your machines. You run your first backup of your machine which for me took 17 minutes and 21 seconds to backup a base install of Windows 7 Ultimate Edition with all the updates applied (see below image). By default it ignores things like user temporary files, system page file (mine was 2.29GB) , recycle bin, Hibernation file (mine was 2GB), Shadow volume implementation folders (mine was 19.54GB). That saved a tone of space and I would never want to really backup those anyways. Ok, so you are probably thinking is that all? No it only gets better. Now you go to your second machine that one of your kids use and install the software because you want to have it backed up. The backup software reads all of the data but instead of having to backup everything it only needs to transmit content of those clusters that the home server does not already have. So if this machine has a lot of the same files or the same OS you wont be backing up a second copy of the same file. So think about it. How many machines do you have that have all the same music, photos, software etc… Only one copy of any of that will have to be stored. Ok, getting cooler? Now you have all your machines in your network setup and backing up. 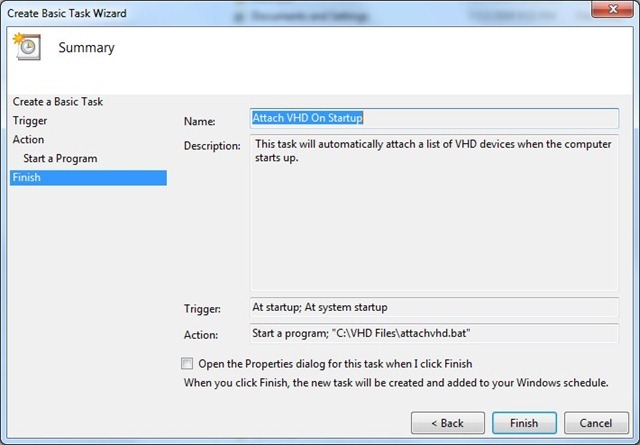 Keep in mind that they are also backing up to a network device that is dedicated to your backups. Ok, so hopefully you have made it down this far as I saved the best part for last. BARE METAL RESTORE!! For those not familiar with that term it means I could have a machine have a complete hardrive failure, pull it out and install a new blank one, grab the provided restore CD provided by HP, boot up my machine from the CD and it will then search the network, find my HP MediaSmart Server and provide me with a list of backups I can choose to restore from. Come back in a bit and my machine is back up and running as if nothing happened. Now I don't know about you but that is worth a lot of money. In fact I got to try this process out 2 weeks after I purchased it. One of the things I did when purchasing this unit was to purchase a new larger hardrive. 2 Weeks later my new drive would not work and I had to take it back to the store and get a replacement. I brought the new drive home and restored from backup for the previous day and was back up and running in about 2 hours which I only had to walk away and come back when it was finished. Other Features: Now I have only talked about backup. While that is in my opinion the coolest feature it is not the only. The HP MediaSmart Server also has the following features. 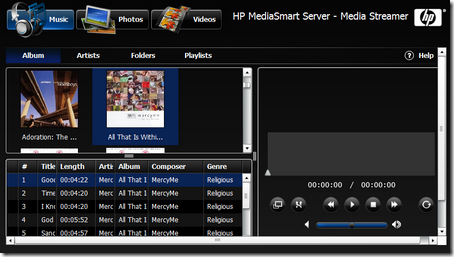 Media Storage and Streaming: You can setup the HP MediaSmart Server search computers on an interval and look for Pictures, Music and Videos and take a copy of them over to the server. Music is then available to be streamed to Media Extender devices, iPod, XBOX, Media Center machines, or access via web interface. Online Photo Album: Publish pictures that you can then provide access to. Small Size: The unit is only 5.5” x 9.8” x 9.2” in size. 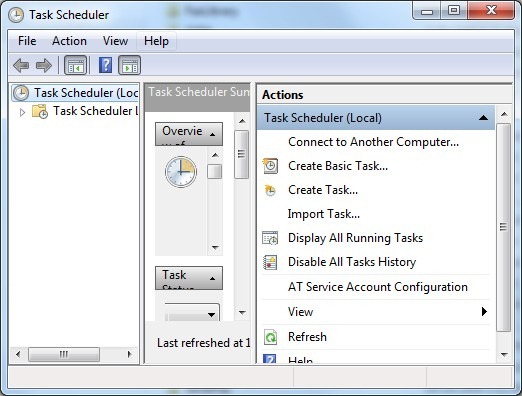 Remote Access: If you have the ability to make the device internet accessible then you can also provide Remote Access to any of your machines using Microsoft Remote Desktop services. 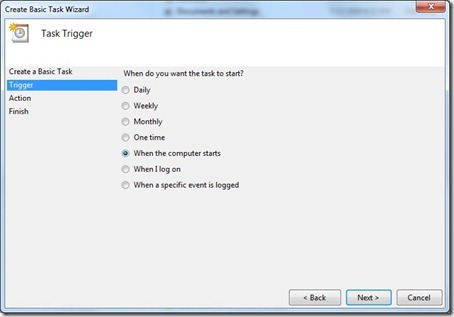 This provides the ability to remotely access your machines from anywhere. As well once internet connected you can access your files, music, videos and pictures. Also your music and videos are streamed to you as you listen to them so you can instantly start listening to them rather than having to download them first. This also provides a optimum experience if you don’t have a lot of bandwidth. 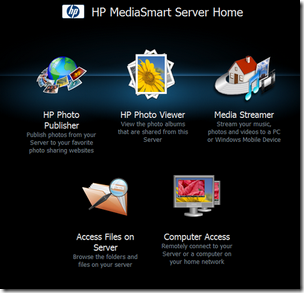 HP MediaSmart Server Home: Default page showing what is available via a web browser. Computer Access: Shows the list of machines in the network that are available to be connected to remotely. 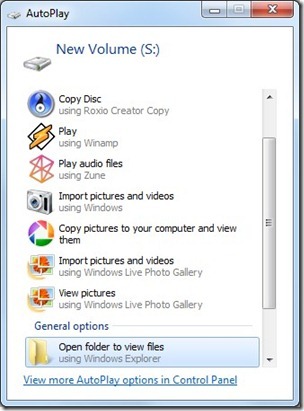 Each person in your home or small office can have a user account in which they can use to store files in a central location. 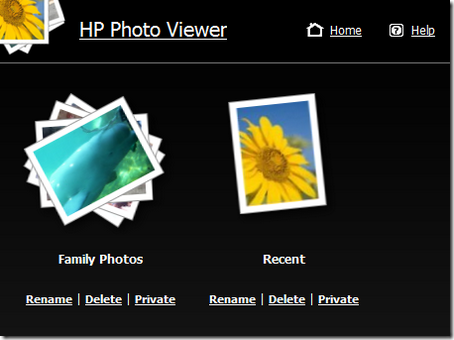 Now you can share folders on the HP MediaSmart Server and give access to only those that need them. You can have up to 4 drives in the HP MediaSmart Server and they are also able to be HOT Swapped. My unit came with a 750GB drive and I purchased a 1TB drive to add more capacity and provide a backup drive. The HP MediaSmart Server does not use traditional RAID configuration but rather allow you to define folders that should have the data stored on more than one drive. So in a raid configuration if you put in another drive you do not get access to it as it is only used to provide a backup drive. With the HP MediaSmart Server you get all the extra capacity minus whatever is needed to keep a backup of the folders you said should be mirrored. 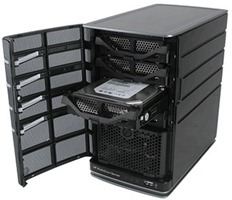 Maximum storage is only limited by the number of drives and USB ports. So take 4 2TB drives and put them in and 4 2TB external USB drives and you have a whopping 16TB of storage. 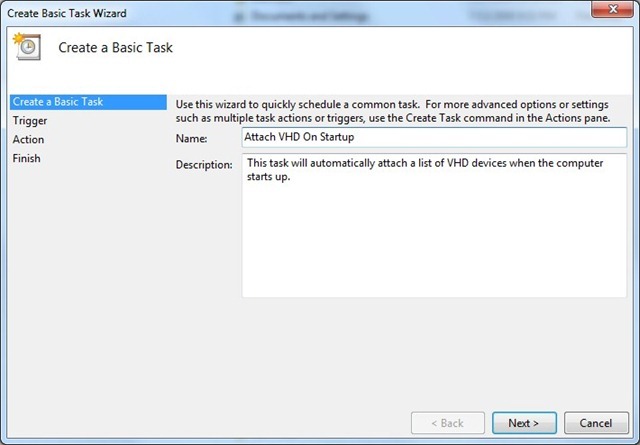 If you have played with the new VHD feature in windows 7 or windows 2008 then you know just how cool of a feature this is. However the problem is that when you reboot your machine you find that when it comes back up all your VHD files are no longer attached? Here is what I did to get around the issue. 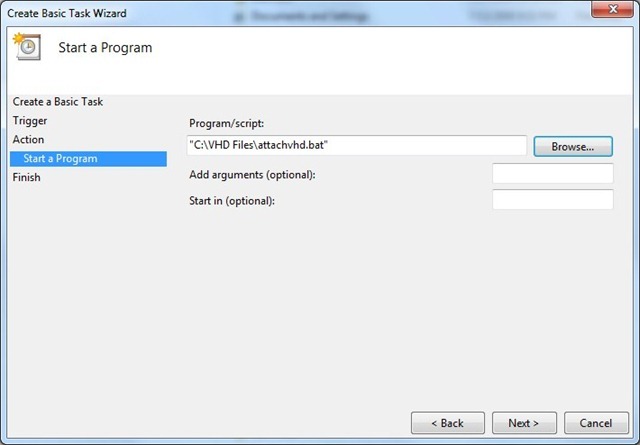 select vdisk file="c:\path to vhd files\myvhddrive.vhd"
I named my script file diskpartscript.txt and placed it in the same folder as my VHD files. 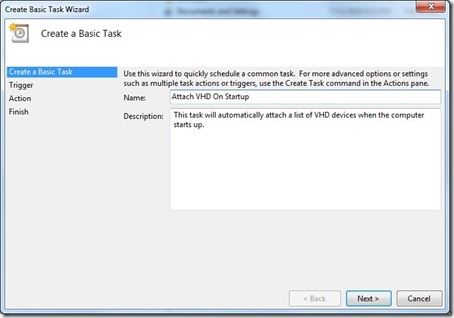 Create a scheduled task that will automatically run when your machine starts up. You have now completed all the necessary steps. 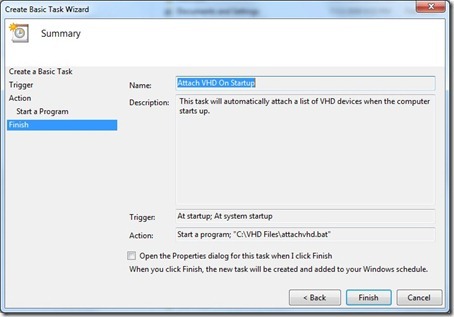 Restart your computer and you should find that your VHD files are now automatically attached. One caveat is that if you reboot and you log into your machine quick enough it is possible that the task may not have been run yet. 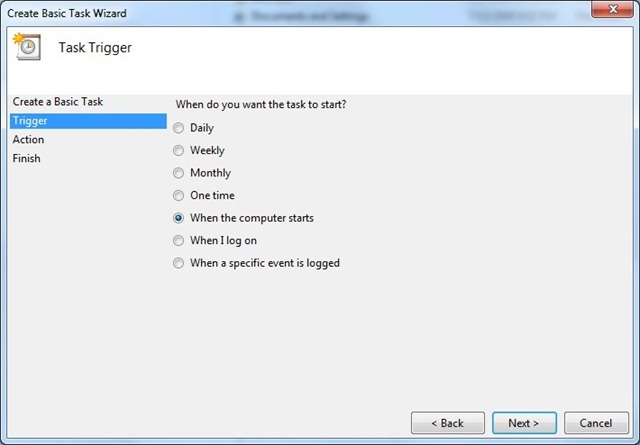 Once you are logged in if the task runs you will get an Autoplay dialog as follows. Simply close it. This does not happen if the task runs before you get logged in. When your .NET application experiences a problem on a production or QA server, your very first task is to avoid or at least minimize end user inconvenience and negative business impact. .NET troubleshooting in production is often an art. How do you pre-configure your production environment in order to make the troubleshooting process easy and effective? What's the most straightforward way to understand the root cause of the problem? How do you avoid the cost and time consuming process of reproducing the problem in your development environment? There are a variety of troubleshooting tools and approaches: debuggers (traditional, remote, core, on-the-fly), custom instrumentation, profilers, monitoring. Which one do you use for your exact situation? When is the core debugger applicable and how do you read memory dumps? What is an on-the-fly debugger? How do you design helpful and valuable custom instrumentation? We will cover these questions in this presentation. Alex Zakonov is Chief Architect of AVIcode, the leading provider of .NET application and troubleshooting solutions. With expertise in software management and over ten years of experience as a software engineer and architect, Zakonov leads AVIcode’s product strategy, development efforts and customer support operations. His in-depth knowledge of the development, operations and support phases of the application cycle allows him to contribute a unique perspective on these functional silos and the intersections between them. Under his leadership, AVIcode has demonstrated 50-75% year-to-year company growth and has established a recognized leadership position in the application performance management market. Zakonov’s experience includes developing and implementing manageable systems that span multiple vertical industries, including monitoring software for energy management, data processing software for the telecommunication industry, and business automation software for the legal industry. This combination of experience resulted in him co-founding AVIcode and developing the company’s core technology, Intercept Studio, which is based on his patent-pending inventions in software monitoring. Zakonov is also actively involved with several Microsoft products groups, including working with the Windows Management team on the operations aspects of software manageability and with the Visual Studio Team System Team on the development aspects. Zakonov is fluent in Russian, and holds an MS in Math and Computer Science from St. Petersburg State University. ASP.NET MVC is a new web development framework from the ASP.NET team at Microsoft. In this talk, Brad Wilson will discuss what the Model-View-Controller pattern is, why the team decided to create a new framework, how it compares to ASP.NET WebForms, some of its primary benefits, and of course lots of time in Visual Studio walking through the uses of MVC. Brad Wilson is a senior software developer at Microsoft on the ASP.NET team with more than 15 years of experience writing software for everything from networking stacks to high-speed measuring machines, from startups to large enterprises, and most everything in-between. He is currently working on the MVC team helping to define and deliver the next version of ASP.NET MVC. He is co-creator of the xUnit.net unit testing framework. In this session, David Lemphers, Senior Program Manager for Windows Azure, will provide an overview of Windows Azure, including how-to code demos on building cloud based applications using Windows Azure and Visual Studio. David Lemphers is a Windows Azure program manager based in Redmond. Dave spends most of his time working on features and projects for Windows Azure, but also enjoys blogging and building robots in his spare time. Originally from Australia, Dave spends his free time making vegemite sandwiches and eating meat pies and lamingtons at Cafe 41! Our meeting is open to everyone so bring your friends and co-workers. If you’re planning to come, please RSVP as soon as possible via email or at the Facebook Group. BarCampSeattle is an ad-hoc gathering born from the desire for people to share and learn in an open environment. It is an intense event with discussions, demos, and interaction from attendees. It is an international network of user generated non-traditional social conferences: open, participatory workshop-events, whose content is provided by participants, often focusing on early-stage web applications, and related open source technologies, social protocols, and open data formats. Oh and super fun!! I will be going to this on Saturday to see how this type of event works. I always enjoy going to these types of things just for the networking opportunities. I recently had a project in which I wanted to compress log files I was transferring between servers. I did not realize till I did some research that the .NET framework has a nice little library built in for creating GZIP files. While I think the maximum recommended size for using this is 4GIG I am well under that.